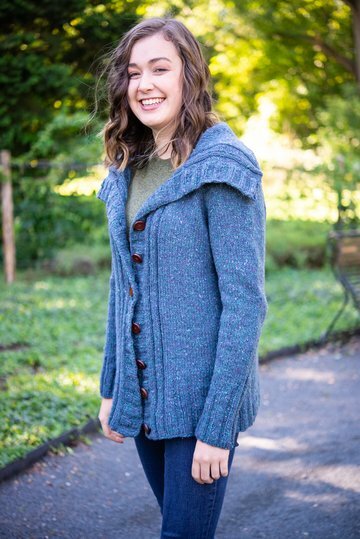 I created the Dockside Cardigan as part of the design collection for my 2018 make. wear. love. fall sweater retreat, out of Arranmore yarn from our vendor The Fibre Company. 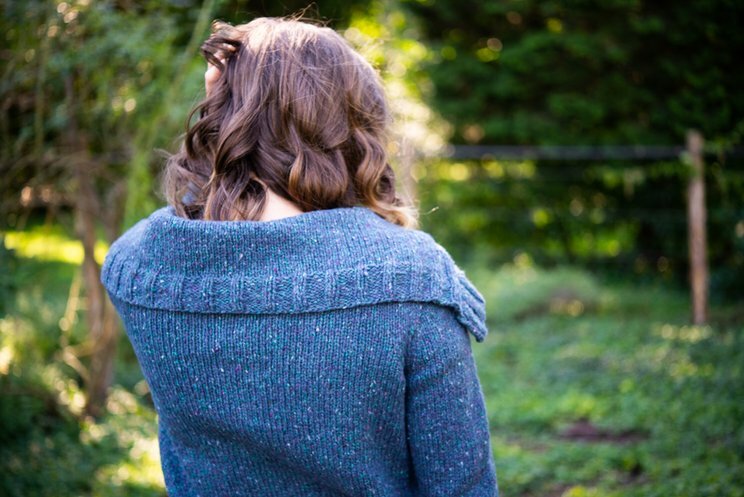 I knew that with such a luscious, tweedy yarn I'd need a fairly simple design. 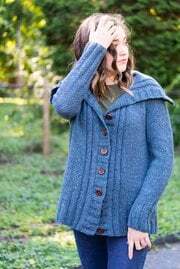 So I kept things classic with a collared cardigan that features a diagonally-diminishing ribbing pattern on the fronts and sleeves. 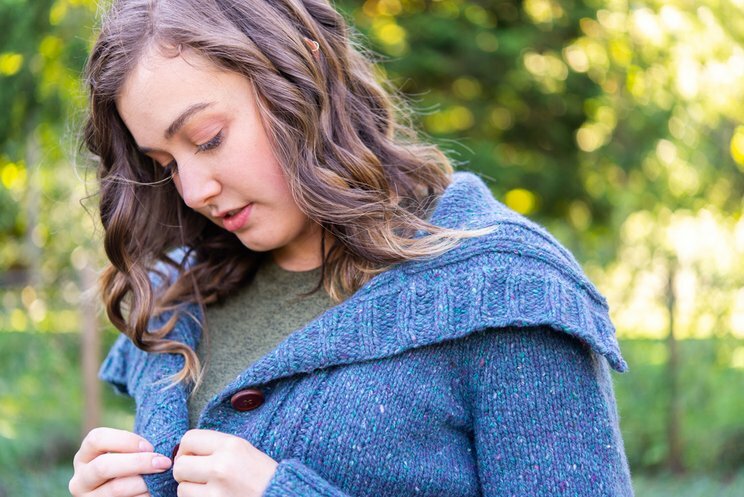 Dockside can be made in any of CustomFit's silhouettes, and would look great in the range of Fibre Company yarns. 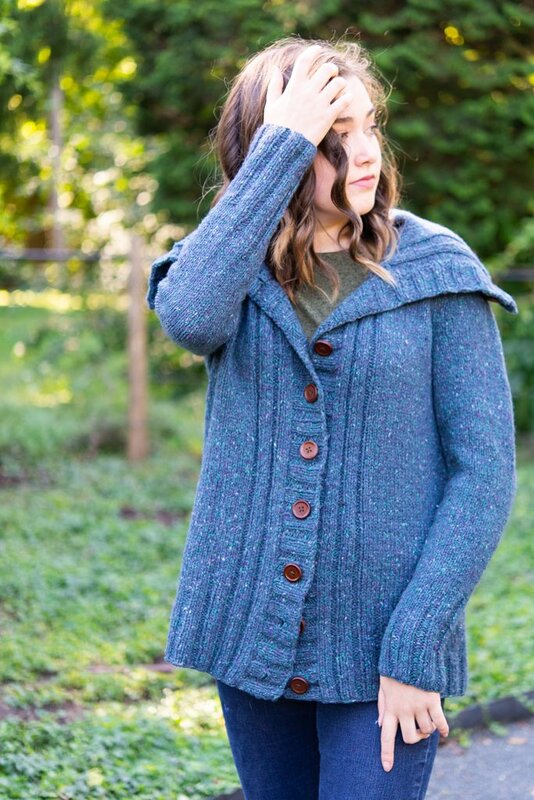 It's shown here on Christy in a women's average fit. 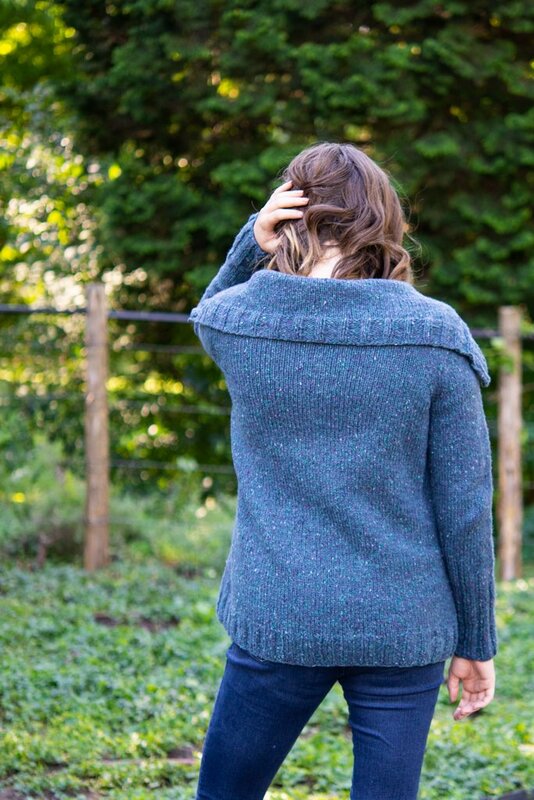 I sed The Fibre Company Arranmore, in the color "Odhram", for this design. 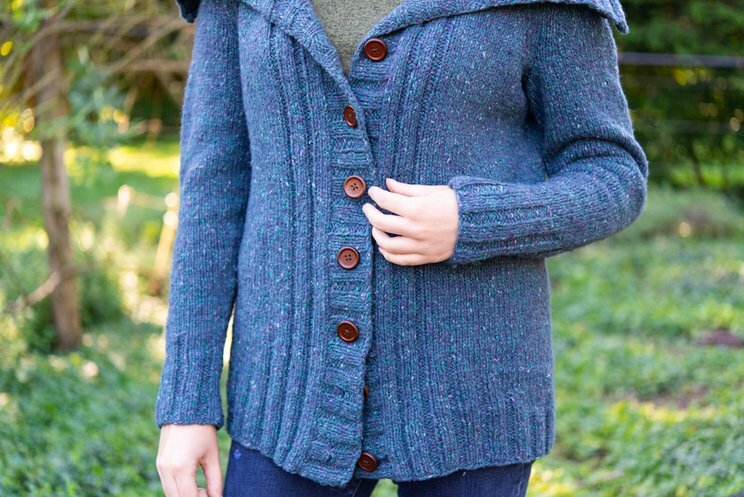 I liked the Arranmore at a gauge of 16 stitches and 24 rows to 4'' (10 cm), which I got using US 8 (5 mm) needles. 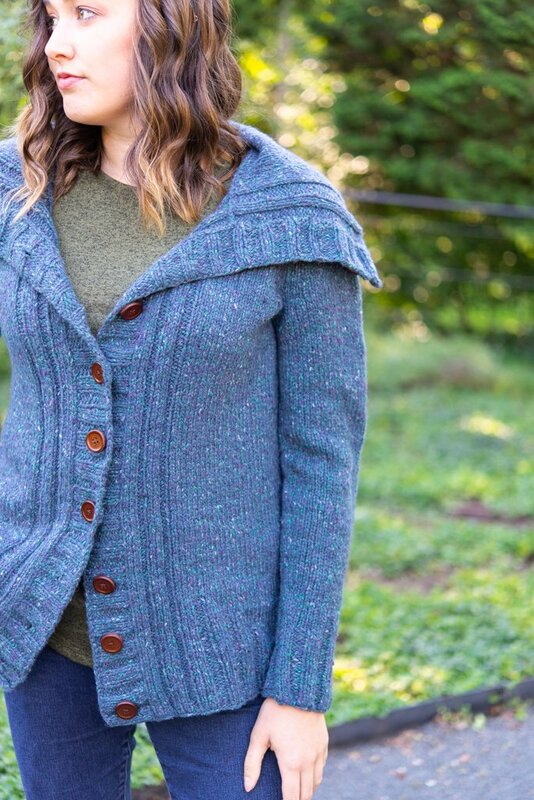 At the same gauge, you'll need approximately 5 (5, 5, 6, 6, 6, 6, 7, 7, 7, 8, 8) hanks of Arranmore for a straight-sided cardigan that's roughly 30 (32, 34, 36, 38, 40, 42, 44, 48, 52, 56, 60)’' / 76 (81.5, 86.5, 91.5, 96.5, 101.5, 106.5, 112, 122, 132, 142, 152.5) cm in the fullest part of the bust.